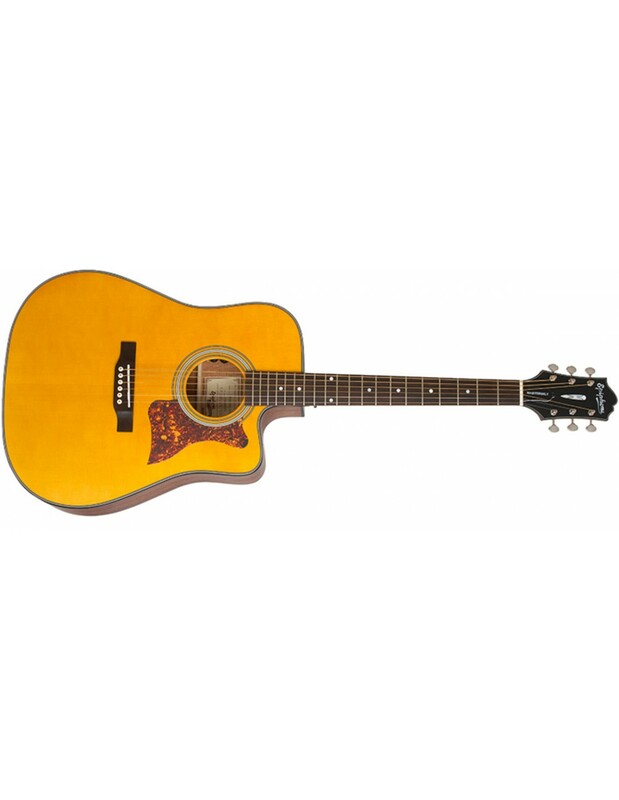 The Epiphone Masterbilt DR-400MCE Acoustic-electric 6-string guitar is a modern instrument with a distinctly vintage vibe; big, balanced tone; and exceptional playability. The DR-400MCE is unusual in many respects, including the fact that it's built with all solid wood — from its Sitka spruce bracing to its solid Sitka spruce top and solid mahogany back and sides to the one-piece mahogany neck. Plus, Epiphone has loaded this cutaway dreadnought with premium electronics — Shadow Germany's NanoFlex bridge pickup and an eSonic HD preamp with soundhole-mounted controls.